Embracing a mission of connecting the world of applied geophysics, the Society of Exploration Geophysicists is a not-for-profit organization supporting 27,000 members from 128 countries. 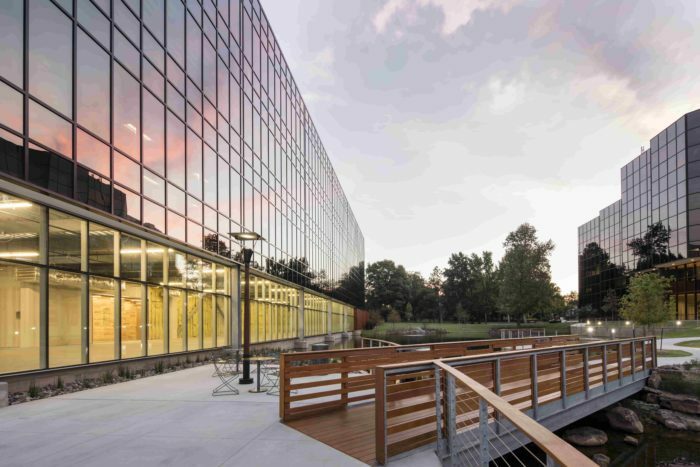 Inspiring the geophysicists of today and tomorrow, SEG ‘s long-standing tradition of excellence in education, professional development, new business generation, and engagement cultivates a unique community platform that encourages collaboration and thought leadership for the advancement of geophysical science around the world. 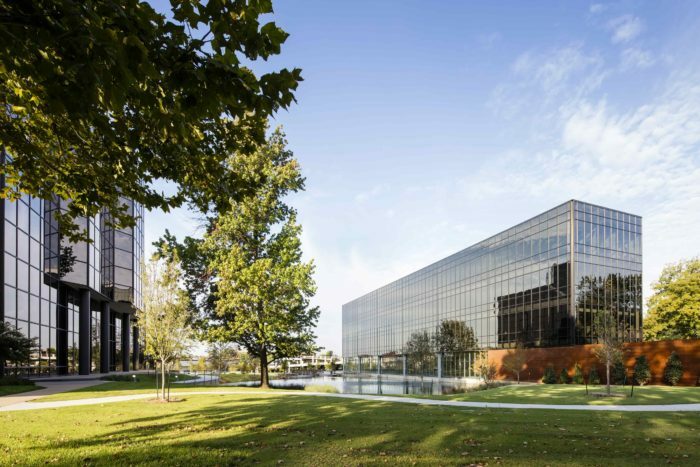 The SEG Geophysical Resource Center is a four-story office building, two-story, 140-space parking garage located on the 11-acre park-like Geophysical Resource Campus. 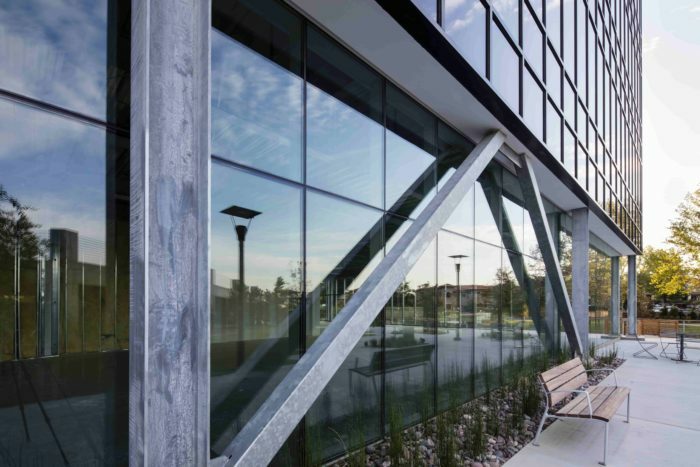 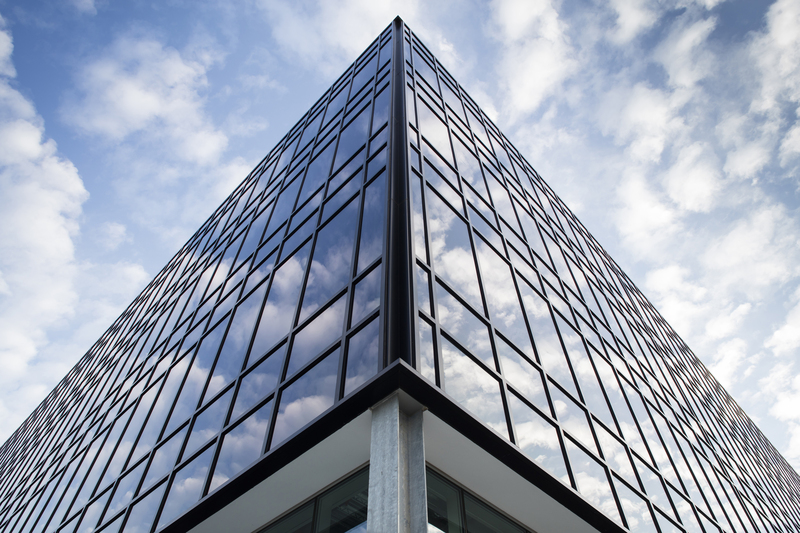 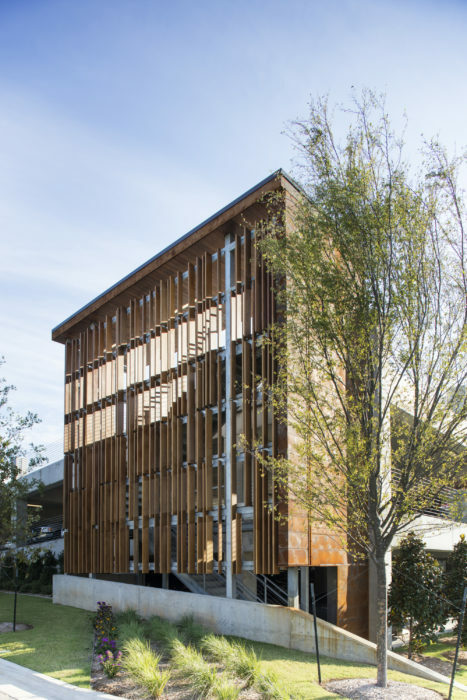 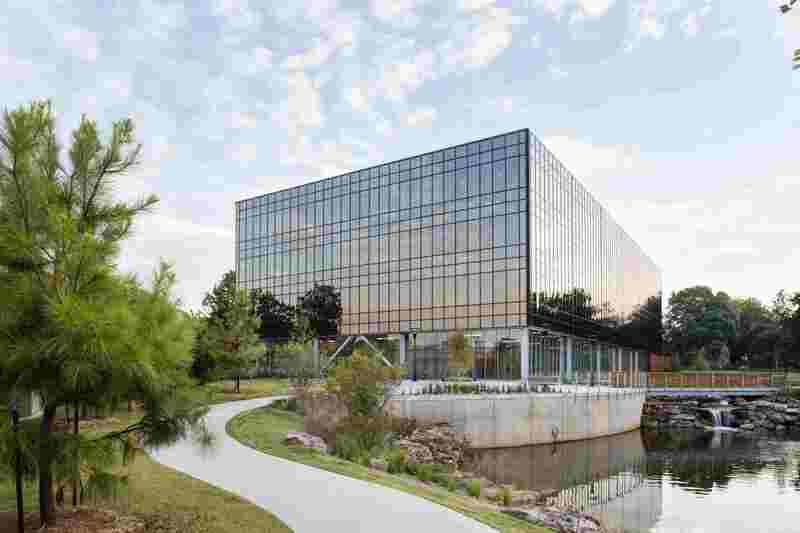 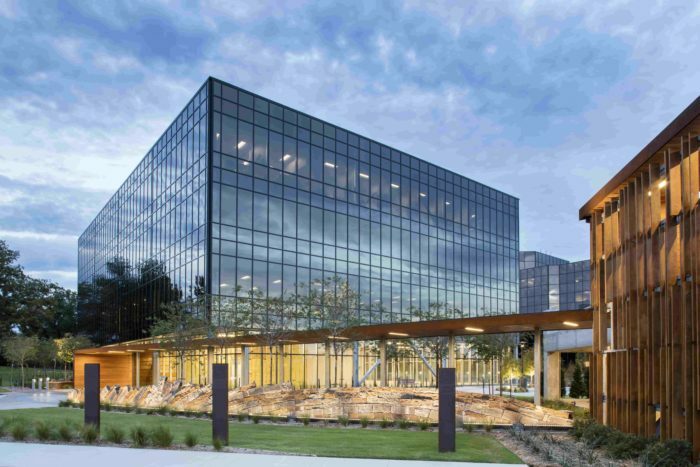 The building features a black glass curtain wall exterior drawing inspiration from the older six-story building located on site, and provides a dynamic façade that reflects the ever-changing natural surroundings. 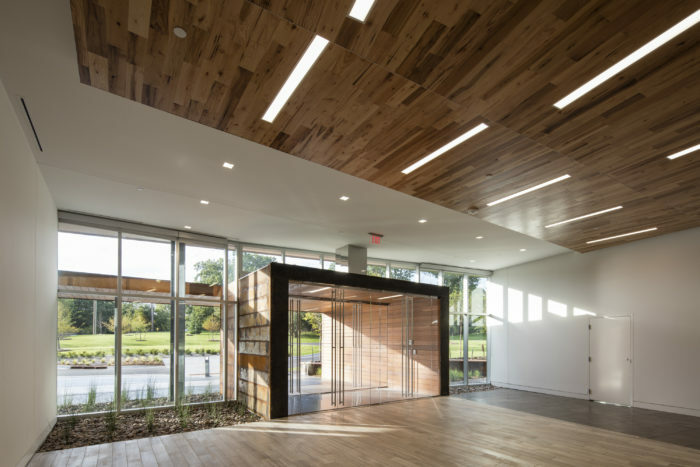 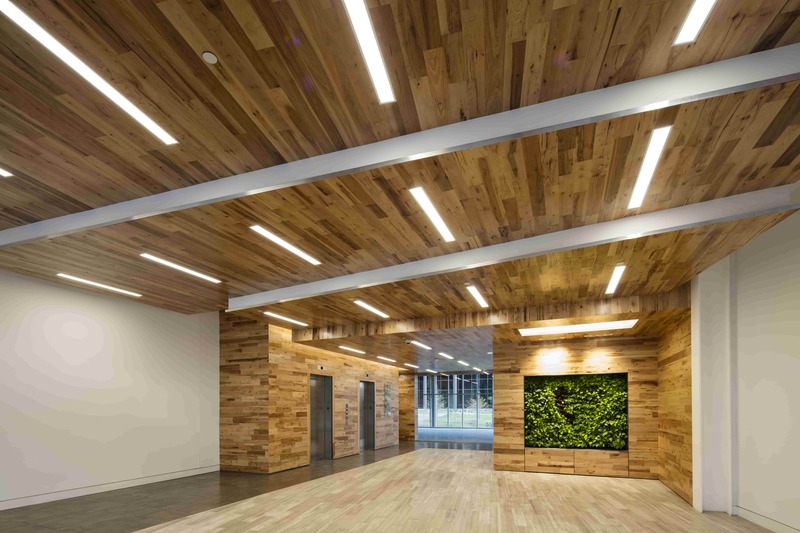 Natural elements of wood, glass, exposed steel, stone and geological features are incorporated throughout the entire building and site. 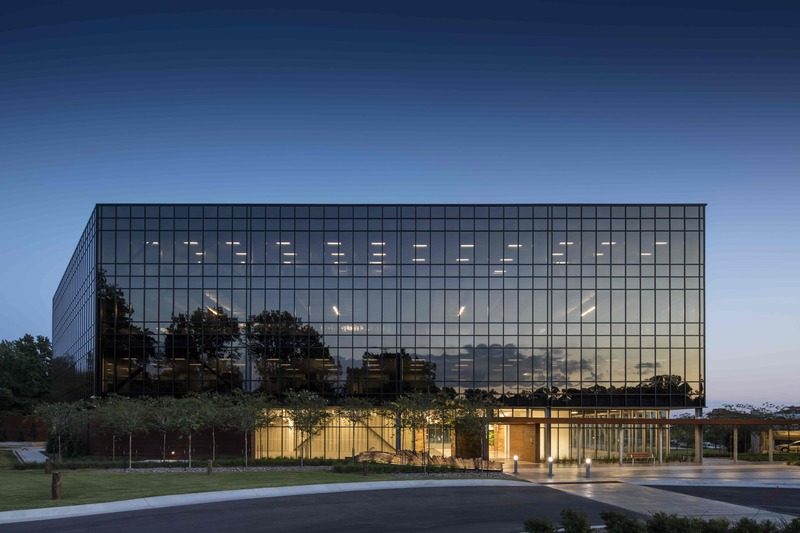 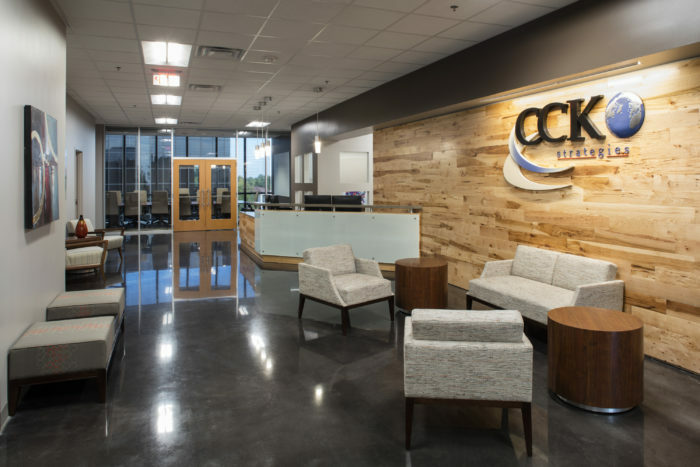 An extremely efficient building core design allows a trio of 20,000 square foot upper floor plates to provide column-free leasable space between the building core and exterior. 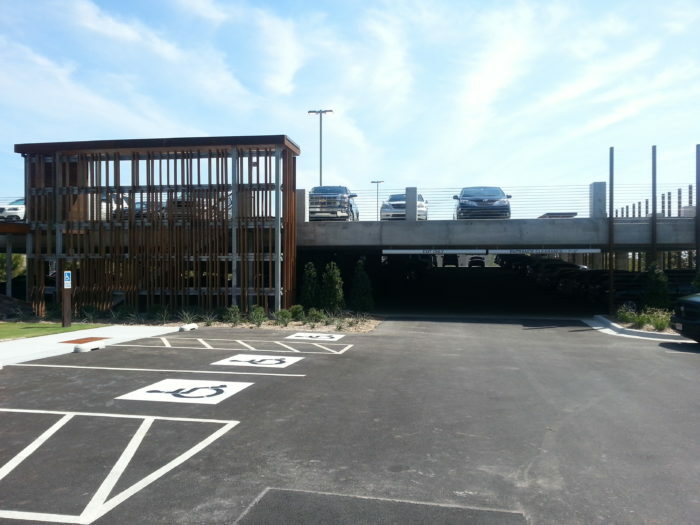 Wallace Engineering also provided IBC-mandated special inspections during construction.